Known for his suave lyrical delivery expressing his love for women and good ganja, Gonzo’s musical roots run deep into his childhood. Inspired by his father to become a musician, Gonzo grew up listening to Motown, Classic Rock, Oldies, Salsa, R&B and Soul, and notes of each can be detected throughout his albums. At the age of fifteen, he began playing guitar and soon linked up with high school friends to form his first band, now widely known as Fortunate Youth. In 2011, Fortunate Youth released their debut album, Irie State of Mind, with Gonzo as the lead guitarist and one of two lead vocalists. After two national tours, Gonzo parted ways with Fortunate Youth to embark on his solo career. The newly independent artist wasted no time making a name for himself and in December 2012, he delivered his first full-length album, Rocksteady, to the masses. With Beyond I Sight as his backing band, Gonzo hit the road to promote his debut solo effort. Soon after, San Diego’s Tribal Seeds recruited him to be their lead guitarist and back up vocalist. After several nationwide tours with Tribal Seeds, shows up and down the west coast with Beyond I Sight, and a solo set at the 2014 California Roots Music and Arts Festival, Gonzo released his second full-length album as an independent artist. His sophomore album, Red, was released in June 2014, and hit #6 on the Billboard reggae charts. He recently premiered the music video for “Runnin’” off this album. Both Red and Rocksteady were produced at Imperial Sound Recording Studio by fellow roots musician E.N Young. Released under E.N’s Roots Musician Records label, both albums reached #1 in the iTunes reggae category and continue to display Gonzo’s talent as an independent artist. Gonzo’s solo act made its nationwide debut on the 2014 Representing Tour. 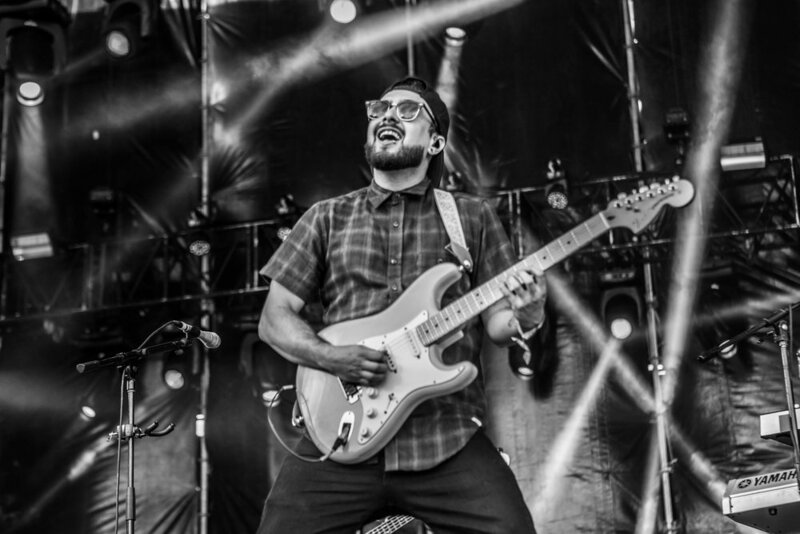 With an endless supply of energy, he opened each night with a solo set backed by Beyond I Sight and finished by showcasing his top-level guitar skills with Tribal Seeds. Gonzo continues to tour around the nation with Tribal Seeds, while simultaneously pursuing opportunities to showcase his solo talent. Among his plans for the remainder of 2017 is a run of shows in the Hawaiian Islands with island natives, Inna Vision and The Steppas. Make sure to catch Gonzo in a city near you!